1. You agree to provide Afrihost with true and correct information in order to provide service to you and give Afrihost permission to process your personal information (clause 4, 14). 3. You agree that abusive behaviour towards Afrihost's staff or brand will not be tolerated (clause 6). 5. You agree that failing to pay your Afrihost account on time may lead to account termination and/or administrative fees and possible reconnection fees (clause 10, 16). 7. You limit Afrihost’s liability and indemnify Afrihost for various acts or omissions (clause 17). “Afrihost” means either of Afrihost (Pty) Ltd or Afrihost SP (Pty) Ltd or any other entity which Afrihost (Pty) Ltd or Afrihost SP (Pty) Ltd may assign, cede or delegate any of their rights or obligations to. "Afrihost System" means equipment operated together as a system by Afrihost to provide any Service, including without limitation servers, peripherals, routers, switches, Software, Databases, cables, generators, and uninterruptible power supplies. 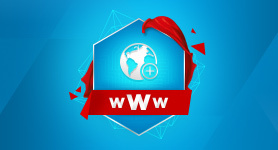 “Afrihost Website” means the Internet website published at the URL “www.afrihost.com” or another URL that Afrihost notifies the Client of from time to time. “Agreement” means these General Terms, Acceptable Use Policy, and applicable Service Terms, Service Orders and all annexures to any of these documents. “Business Day” means any day other than a Saturday, a Sunday or a public holiday in the Republic of South Africa. “Business Hour" means a period of 60 minutes between the hours of 08h00 and 17h00 South African Time, on a Business Day. "Client” is the party described as such on any Application or Service Order executed between it and Afrihost. in the day-to-day utilisation of a Service. "Client Equipment" means any equipment installed at Afrihost’s premises by the Client that Afrihost does not own, including without limitation servers, peripherals, routers, switches, Software, Databases, Data cables, and uninterruptible power supplies. “Data" means electronic representations of information in any form. “Database” means a collection of related data including, but not limited to, text, images sound and video, all of which have been created and integrated using a method of connecting and displaying the data into a collection of interrelated independent files or data which are stored together. "Domain" means an Internet subdomain registered with an authorised registrar appropriate to its top-level domain (“TLD”) and comprising its constituent domain name server records including, but not limited to, host names, aliases and mail exchange (“MX”) records. "Emergency Maintenance" means maintenance to the Afrihost System intended to remedy existing circumstances or prevent imminent circumstances that are likely to cause danger to persons or property, an interruption to the Communication Services, or substantial loss to Afrihost, the Client or any third party. “Fee” in respect of each Service will be as noted in the Fee Schedule provided to the Client on initiation of the Service and adjusted from time to time. “Goods” means any and all goods to be provided by Afrihost to the Client in terms of this Agreement, including without limitation equipment, hardware and third party software. “Good Industry Practice” means the exercise of that degree of skill, diligence, prudence and foresight which would reasonably be expected from a skilled and experienced service provider providing similar services to those provided under this Agreement. Such a service provider would seek in good faith to comply with its contractual obligations, and with all applicable laws, codes of professional conduct, relevant codes of practice, relevant standards, and all conditions of planning and other consents. “Intellectual Property Rights” means patents, registered designs, trade marks (whether registered or otherwise), copyright, trade secret rights, database rights, design rights, service marks and other intellectual property rights and rights to claim something as confidential information, including in other jurisdictions, that grant similar rights. and includes any back door, time bomb, Trojan horse, worm, drop dead device or computer virus. "Multi-Factor Authentication" refers to the process of establishing a user's identity using several concurrent means of verification such as one-time pin, security questions or other forms of validation. "OTP" means One-Time Pin or One-Time Password that is used for login to Afirhost systems or for verification purposes. “RICA” means the Regulation of Interception of Communications and Provision of Communication-related Information Act 70 of 2003. “Services” generally means internet services and access but for each specific service offering the meaning will be specified in more detail, as provided in the additional terms for each of the listed options. “Service Order” means a goods, license, services and / or work order agreed to in terms of this Agreement describing the specific Goods or Services to be provided by Afrihost to the Client. 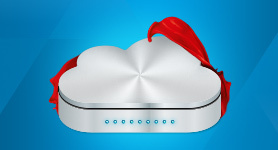 "Service Terms" means a document describing the terms on which Afrihost will provide a particular Good or Service, as amended from time to time. "General Terms" means this document. "Software” means any computer programme (whether source- or object code), as well as any database structure or content, artistic work, screen layout, cinematograph film, sound recording, preparatory material, user or technical documentation or any other work created in connection therewith and any modifications, enhancements or upgrades thereto. “Supplier” means a supplier of goods and / or services to Afrihost. "Two Factor Authentication" refers to the process of establishing a user's identity using various methods, such as one-time pin and security questions. 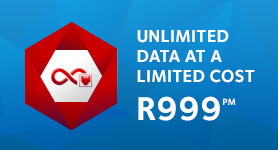 "User/s" means the Client or any other person accessing any the Services provided by Afrihost. The Goods and Services that Afrihost will provide to the Client will be described in Service Orders. These General Terms apply to all Services. More details of particular Goods or Services may be contained in Service Terms. 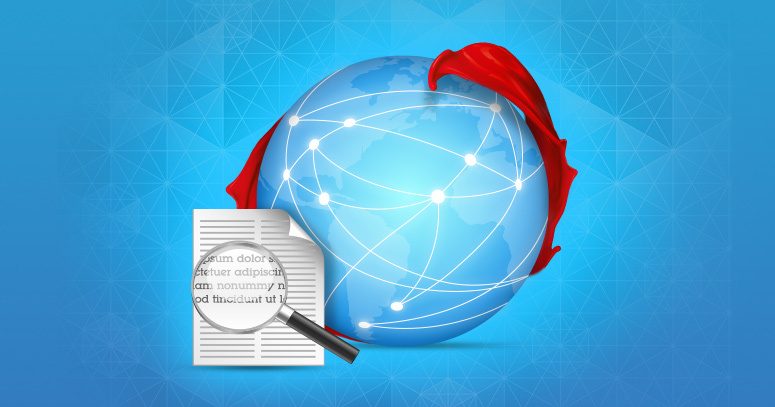 The Service Order(s), Service Terms, and this document together form the Agreement between Afrihost and the Client. If the Parties enter into a Service Level Agreement or agree to an annexure to any of these documents, these will also form part of the Agreement. If there is any conflict between any of these documents, they will be interpreted in descending order of precedence as follows: General Terms (this document), Service Terms, Service Order, Acceptable Use Policy, and Service Level Agreement, unless otherwise expressly stated in writing. Afrihost will provide the Goods and Services to the Client as described in an Application or Service Order in terms of the Agreement. Afrihost reserves the right to refuse to commence provision of Services based on the Client’s prior conduct. An Application must be submitted via the Afrihost Website or ClientZone. Once an Application is accepted by Afrihost it becomes a Service Order. Each Service Order (read with the other documents mentioned above) will be a separate contract between the Client and Afrihost (unless amended or renewed by another Service Order). The terms of one Application or Service Order will not apply to another, unless a Service Order amends or renews an existing Service Order or adds Goods or Services to an existing contract. The Client consents to Afrihost carrying out a credit check on the Client at any applicable credit bureau, and may make the provision of the Goods or Services dependant on its satisfaction with the results. Afrihost may provide information on the Client’s payment record to a credit bureau. If the Client is a juristic person, Afrihost may require one or more of its officers to stand surety for the Client’s obligations under this Agreement. Even if the Agreement has commenced, Afrihost may withhold providing the Services until the surety has been signed. Depending upon the Service provided, Afrihost may be obliged under RICA to obtain certain information and documents from the Client, and Afrihost may withhold or suspend providing Services until the Client has provided the necessary information and/or documents to Afrihost. If the Client has not complied with a requirement of this clause, Afrihost may delay providing the Goods or Services until the Client has complied. If the Client does not comply within a reasonable period, Afrihost may terminate this Agreement and will not be liable for any damage that the Client may suffer as a result. Commencement of the Services is subject to a seven-day cooling-off period which will be interrupted if the Service in question is made available to the Client during this period. The Client confirms that all statements made to Afrihost are true and correct. Afrihost reserves the right to request proof of any facts or claims. The Client also commits to providing Afrihost with necessary information required in the provision of the selected Services, and (where applicable) consent to the use or sharing of this information with 3rd parties to comply with regulatory conditions (such as Domain Registration Listings) within the guidelines of applicable privacy legislation. Afrihost reserves the right to, at any time, request verification of the identity of the Primary Account Holder. Failure to produce such verification could result in summary suspension or cancellation of the product(s) and Services. Afrihost’s website and attached systems, such as ClientZone, are designed to facilitate reasonable use of the Afrihost products and Services. Afrihost reserves the right to suspend or terminate users who are improperly using features of the systems to avoid billing, shaping, suspension or any other system controls, or exploit bugs or limitations in the system design to effect avoidance of system controls or commit crimes. Afrihost reserves the right to deem an activity as "unreasonable exploitation of the system” and will take appropriate action based on the circumstances and severity of the incident(s). The Service Order(s) and this Agreement, the Services or the interpretation of the supporting documents shall be governed by the laws of the Republic of South Africa and the courts of South Africa will decide any disputes. If the Client or its staff engages in behaviour that is a contravention of the Acceptable Use Policy or may be considered offensive to Afrihost or its staff, Afrihost reserves the right to suspend or terminate the Client’s Services, irrespective of the form and medium of this abuse. In the event that any of the terms of this document are found to be invalid, unlawful or unenforceable, such terms will be severable from the remaining terms, which will continue to be valid and enforceable. Afrihost reserves the right to remove any content hosted by a Client which it considers illegal or contrary to the AUP or for which it has received a takedown notice. Afrihost may amend the General Terms and Service Terms at any time. The amended versions will be posted on the Afrihost Website, and Afrihost will as soon as possible after posting the amendments make reasonable efforts to advise the Client of them by email and via ClientZone. The Client also has a duty to duty to keep itself informed of the latest version of the above documents by accessing the Afrihost Website on a regular basis. Afrihost must give at least one calendar month's notice for the amendments, which will become effective at the beginning of the first calendar month after the notice period has expired. If Afrihost changes its Fees, the change must take place as described in this clause. Clients will be held accountable for their conduct towards Afrihost staff and in the public domain with regard to allegations or malicious conduct directed towards Afrihost or its staff. Abusive behaviour, including (but not limited to) aggression, bullying, offensive language or conduct, including threats, humiliation or any type of intimidation on a forum or directed at Afrihost or its staff will be deemed abusive and will not be tolerated. Such conduct may constitute an AUP violation and Afrihost reserves the right to suspend or terminate Services to a Client in such cases. Clients using public platforms to spread libel, false allegations, unreasonably or maliciously diminish the reputation or public perception of the Afrihost brand (or its staff) may have their Services suspended or terminated, depending the severity and circumstances of the incident(s), and may also be regarded as contrary to the AUP. Afrihost cannot guarantee the provision of the requested Service upon the receipt of an Application. Provision of the Service is subject to Afrihost confirming that it is technically feasible to do so. Applicants will be formally notified after receipt of an Application whether or not the Service can be provided. Afrihost offers online application and signup for all products and Services only via ClientZone. The Client is solely responsible for ensuring that their choice of product or service conforms to their requirements or desired outcome. Afrihost will not be liable for compensation, costs or damages resulting from incorrect selection of products or services, or resultant delays in rectifying such errors. Sign-up for products and services is subject to the cooling-off period described in section 44 of the Electronic Communications and Transactions Act ("the ECT Act"). Afrihost provides Services on the basis of information provided by the Client, and Afrihost offers no warranty as to the suitability of the Services beyond the requirements as expressed by the Client. Afrihost reserves the right to stop offering particular Services if it deems it necessary. 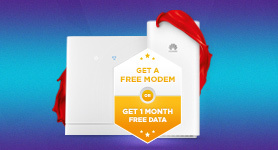 Afrihost will then either provide the service for the remainder of the time that has been paid for or refund the amount paid for that specific package. Clients may only use a referral programme to refer other possible clients. Clients that try to refer themselves via other accounts, whether setup using spoofing methods or simply as duplicate referrals will not receive any discounts. Should a referred client decide to cancel its services within three months of signup, Afrihost reserves the right to reverse both the referrer and the referee’s credits. 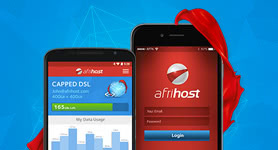 Afrihost reserves its rights to change its prices at any time on reasonable notice, which will not be less than 30 days, as per the minimum term of a month to month agreement. Afrihost only accepts Debit Order and Visa/Mastercard payments for month to month services, and will only accept alternative payment under specific circumstances and only by prior arrangement at Afrihost's discretion. The Client’s monthly debit orders of the Fee will be submitted monthly in advance on or about the first Business Day of the month. This will apply to both Debit Order Payments and Visa/Mastercard Payments. Afrihost will not accept any liability or responsibility for delays, suspensions or impact to Services due to use of non-approved payment methods by Clients. If the Client’s debit order bounces for any reason, Afrihost reserves the right to resubmit the debit order at any time. Afrihost also reserves the right to add any outstanding balances to any subsequent order billing. Non-payment of any Fee by its due date, whether as a result of unpaid Debit Orders, declined cards or any other cause may result in immediate suspension of Services (which may not be limited to the particular Service in question). Afrihost retains the right to suspend any Services for non-payment, and to withhold such Services until all arrears are settled in full on any and all products and Services. Services which have been suspended for non-payment of Fees will remain suspended until payment has been made and the Service is reconnected as described below. The Client will not be credited for data or Services that would otherwise have been available to the Client during the period of suspension. If the Client remains in default of a monthly Fee for two consecutive calendar months, Afrihost may terminate the agreement with immediate effect. The Client will remain liable for all Fees and charges for any period of suspension. Should the Client settle the unpaid Fee they will be reconnected as described below. Afrihost may charge an Admin Fee for failed or returned payments, regardless of method of payment or the reason for non-payment. Such Admin Fees are payable immediately and in conjunction with the outstanding fees which resulted in non-payment. Admin Fees will be calculated on a sliding scale based on the number of incidents of non-payment on the Client's payment record. Non-payment of Admin Fees will be considered non-payment and will be subject to the same terms. Once levied, Admin Fees are not recoverable or reversible, regardless of whether payment is made within the prescribed period. 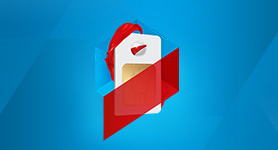 If the Client’s Services are suspended or terminated for any reason, including non-payment, Afrihost may charge a Reconnection Fee for subsequent reactivation of services as described in ClientZone. Reconnection Fees are payable in full before any services can be reactivated, once suspended. Afrihost may charge multiple reconnections Fees where multiple products are affected, and may charge "escalating" penalties for repeated non-payment offences. Any prior leniency shown in this regard will not prejudice Afrihost's right to enforce such penalties in full at any time (within their discretion). Reconnection of Services may be subject to a waiting period of up to 72 hours, at Afrihost’s discretion, regardless of when payment is received or cleared. 10.13 In cases of suspension of Services due to non-payment, Afrihost reserves the right to levy both Reconnection Fees and Admin Fees. Any and all penalty fees must be settled in full, prior to reconnection of affected services. Both Admin and Reconnection fees will not exceed R400 (charged on a sliding scale based on the number of incidents of non-payment), and this amount is based on (but not limited to) a reasonable estimation of accumulated administrative costs (such as labour), bank penalties and resubmission charges levied by payment carriers. In the case of billing disputes, the onus is upon the Client to raise such disputes in good time through the complaints procedure set out in these Terms to prevent interruption of services while the billing is in dispute. Reparations will be made to Clients with successful disputes by means of an account credit or refund, at Afrihost’s discretion. Afrihost reserves the right to terminate services where a Client has shown a repeated disregard for payment terms and consistently fails to make regular scheduled payments on time and using approved payment methods. The conditions of termination will be based on guidelines determined at Afrihost’s discretion and may vary. The means and terms of termination will be determined at Afrihost’s discretion. Notice of termination will be provided to the best of Afrihost’s ability, but Afrihost will not be held liable for claims or requests for further provision of services once a Client’s services have been terminated due to non-payment. Billing will commence on the date that Service provision commences. Partial months will be charged pro rata. Services are billed in advance and all invoices must be paid by the Client in advance. Any Services invoiced in arrears are payable on presentation of invoice. All Fees and other amounts payable are quoted exclusive of VAT. The interest rate will be 2% (two percent) above the prime overdraft rate (percent, per annum), up to a maximum of 2% per month. The prime overdraft rate will be as charged by Afrihost’s bankers at the time, which will be evidenced by a certificate issued by any manager of that bank, whose authority it shall not be necessary to prove. The interest will be calculated from the due date of payment to the date of actual payment, both days inclusive, and will be compounded monthly in arrears. The Client agrees and undertakes to pay the interest. By accepting these terms, the Client hereby authorizes Afrihost to debit their nominated bank account or Visa/Mastercard any variable amount pertaining to the service or products they have selected, on sign up for a calculated pro-rata and thereafter at the beginning of each month (or on signup entirely for purchase of non-service products). This sum being the amount for settlement of the monthly amount due by the Client in respect of services or products. The Client authorises Afrihost's nominated agent to debit their bank account or Visa/Mastercard on Afrihost's behalf (the “authorized party”). The debit authority will remain in force until such services or products are cancelled, subject to the condition that Client agrees that debits related to cancellation notice periods will be honored before the expiration of the debit authority. The Client agrees that the authorized party may freely cede, delegate or assign any of its rights or obligations in terms of this debit order instruction without consent from the Client and that the Client may not cede, delegate or assign any of their rights and obligations in terms of this debit order instruction to any third party without the prior written consent of the authorized party. Afrihost operates Month-to-Month contracts. Either the Client or Afrihost may terminate the agreement, or a particular Service, by giving one calendar month’s notice to the other. For example if notice is given on the 15th of January, termination will take effect on the 1st of March. Particular Service Terms may allow for shorter notice periods. The Client must give notice of termination to Afrihost via ClientZone. Cancellation of any Service is the Client’s responsibility and all tools to effect such cancellation are provided in ClientZone. The Client is responsible for ensuring that such cancellation of service is actioned with due attention to terms of cancellation, as well as cancellation conditions which require the Client to specifically indicate a required process. Should the Client incorrectly complete the cancellation process, Afrihost will not be liable for any additional costs or compensation due to the error. The Client acknowledges that Afrihost may terminate this Agreement by written notice, including email, and without liability in the event of the termination of its agreement with an upstream licensee relevant to the provision of any connectivity Service. Afrihost reserves the right to deactivate or terminate selected Free Products, such as Fax2Email, should they not be used within a prescribed period or at Afrihost's sole discretion. Such termination will take place automatically, as per product specifications, and may occur without prior warning. Afrihost accepts no liability should such termination take place, and not warranty is made regarding the availability of said products in the future. For example, should a Fax2Email be deleted if not used within 90 days, Afrihost makes no warranty that the number can be made available again, and accepts no liability for any consequences resulting in the deletion of the product. Afrihost reserves the right to terminate products provided as Free products where a breach has occurred (such as non-payment) in relation to other products, whether or not such breach has direct or indirect bearing on the Free product service provision. Should Afrihost agree to the acquisition or transfer of any or all of it’s services to another company, such services and services agreements will be transferred to the acquiring entity. Clients affected will be notified of such changes and any potential impact to their service agreement within the minimum term (30 days) of a month to month agreement. Clients signing up for services as a Primary Contact are considered as “the client” and no other parties will be permitted access or authority to the Client Account, even if they are a 3rd party recipient or affiliate of the “client”. Afrihost will observe all privacy of information best practices, in accordance with the applicable laws of South Africa, including the Protection of Personal Information Act (POPI) of 2013. The Client consents to Afrihost processing Personal Information transmitted to the Afrihost System in a way which is consistent with the Service being provided. Where the Client's use of a Service leads to the transmission of Personal Information to or from the Republic of South Africa, the Client acknowledges that it has a duty to comply with any relevant statutory provisions dealing with data privacy either in the Republic of South Africa or in any foreign country to which the Personal Information is transmitted. The Client warrants that it has obtained the consent of any third party for the use of that party’s Personal Information in this way, or otherwise that such processing is lawful, and indemnifies Afrihost from any claim brought by such third party as a result of its failure to do so. Afrihost may retain backups as a matter of course for up to one year after termination, and the Client consents to such retention. However Afrihost gives no warranty in respect of the effectiveness of such backups (if any). Afrihost will implement measures in line with Good Industry Practice to ensure the security of the Afrihost System and the physical security of Afrihost’s premises, but gives no warranty that breaches of security will not take place. If the Client discovers a security violation, or thinks that a security violation is imminent, it must immediately notify Afrihost in an appropriate way that does not further compromise security concerns. If the Client suffers damage as a result of loss or corruption of Client Data through a security violation, it will be liable for the damage if the violation was the Client’s fault. the Client Data is safeguarded. preventing access to the Afrihost System. Afrihost takes reasonable measures to provide disaster recovery but does not warrant that recovery will be successful or that it will be completed within any time limit. The Client must give its full cooperation to Afrihost in any investigation that may be carried out by Afrihost regarding a security violation. If the Client is providing any service to third parties that makes use of the Afrihost System, the Client must contractually bind those third parties to equivalent terms regarding security as are set out in this clause 15. Afrihost may on prior written notice to the Client inspect the Client’s installation and Client Equipment located on Afrihost’s premises to ensure compliance with the building regulations and restrictions agreed between the parties. By signing up and submitting personal information to Afrihost, clients expressly agree to validation and verifcation methods such as Two Factor Authentication and/or Multi-Factor Authentication, using personal information submitted, or such information as required by Afrihost from time to time. The method of verifcation used will be implemented at the discretion of Afrihost. Clients hereby grant authority to Afrihost to use personal information for this purpose, including sending OTP information via SMS to their mobile phones. Afrihost reasonably thinks that the Client’s use of the Services may result in the commission of a crime or is otherwise unlawful. May be listed with applicable authorities and credit bureaus. The period of suspension will be that which is reasonable under the particular circumstances that gave rise to the suspension. AFRIHOST WILL NOT BE LIABLE TO THE CLIENT OR ANY THIRD PARTY IN RESPECT OF ANY AND ALL DAMAGES, LOSS, CLAIMS OR COSTS, OF WHATEVER NATURE AND INCLUDING BUT NOT LIMITED TO DIRECT, INDIRECT, CONSEQUENTIAL OR SPECIAL DAMAGES, SUFFERED BY THE CLIENT OR THIRD PARTY, HOWSOEVER ARISING, AND AFRIHOST WILL MOREOVER NOT BE LIABLE WHETHER THE LOSS WAS THE RESULT OF THE ACT OR OMISSION OF AN AFRIHOST EMPLOYEE, VICARIOUS OR STRICT LIABILITY. 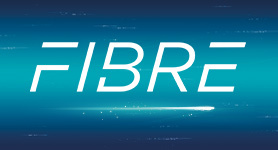 In the event that Afrihost is nonetheless held liable, the quantum of Afrihost’s liability will not exceed the monthly or pro-rata fees due for the Service that occasioned the loss, in the preceding three (3) months, regardless of whether the claim arises out of negligence on the part of Afrihost or any other cause. USE OF THE SERVICES INDICATES THAT THE CLIENT INDEMNIFIES AND HOLDS HARMLESS AFRIHOST IN RESPECT OF ANY DAMAGES, LOSS OR COSTS OR CLAIMS INSTITUTED AGAINST AFRIHOST ARISING FROM ANY APPLICATION OR SUBSCRIPTION TO OR USE OF ANY SERVICE OR BREACH OF THE TERMS AND CONDITIONS APPLICABLE TO IT. These limitations on liability and indemnities apply to the benefit of Afrihost and Afrihost's Affiliates, directors, officers, employees, contractors, agents and other representatives, as well as any third parties whose networks are connected to the Afrihost System. Nothing contained in this clause 17 will limit the Client’s liability in respect of charges incurred for ongoing Services. If the Consumer Protection Act 68 of 2008 is applicable to this Agreement, and any provision of this clause 17 is found by a court or tribunal with jurisdiction over Afrihost to be unfair, unreasonable or unjust, then that provision (whether it be a word, phrase or sub-clause) will be severed, and the remainder of this clause 17 will have full force and effect. In the case of ambiguity, this clause 17 will take precedence over any expression of the Parties’ intention, whether express or implied, that may be contained elsewhere in this Agreement. All requests by the Client for the provisioning, modification or termination of Services, and for modification of contact and other personal information must be made via ClientZone and Afrihost reserves the right to ignore any such request made in any other manner. in the case of the Client, the addresses set out in the most recent Service Order agreed between the Parties. Either Party may vary its given postal address or other contact details by notifying the other Party in writing. is posted by pre-paid registered post from an address within the Republic of South Africa to the addressee at its chosen postal will be deemed to have been received by the addressee on the 7th (seventh) day after the date of posting. if a written notice or communication is actually received by one of the Parties from the other, this will be adequate written notice or communication to that Party. Whole Agreement. This Agreement is the whole of the agreement between the parties, and no document or statement not mentioned above will form part of it. Only a written variation, waiver or cancellation agreed to by both parties will be of any effect. Applicable Law & Jurisdiction. The law of the Republic of South Africa will apply to this Agreement, its interpretation and any matter or litigation relating to or arising from it, and the parties consent to the jurisdiction of the courts of Republic of South Africa in this regard. Survival. For the avoidance of doubt, any provision of this Agreement that anticipates any right or duty extending beyond the termination or expiry of this Agreement will survive the termination or expiry of this Agreement and continue in full force and effect. No Indulgence. If one party chooses not to enforce any part of this Agreement, that does not mean that the party cannot enforce that part at a later time. If any part of the Agreement is found to be unenforceable, the rest will still be enforceable. Representatives. The signatories hereto acting in representative capacities warrant that they are authorised to act in such capacities, and accept personal liability under this Agreement should they prove not to be so authorised. Reading Down. If a provision of this Agreement is reasonably capable of an interpretation which would make that provision valid and enforceable and an alternative interpretation that would make it void, illegal, invalid or otherwise unenforceable, then that provision shall be interpreted, so far as is possible, to be limited and read down to the extent necessary to make it valid and enforceable. Severance. In the event that any part of this Agreement is found to be partially or fully unenforceable because it does not comply with any law, or for any other reason, this will not affect the application or enforceability of the remainder of this Agreement. These terms were last updated 18 Oct, 2018. You can view other versions below.